The world was in political chaos, between Trump and Brexit, while jazz continued to grow and become a thing that everyone’s talking about. And the recorded music industry grew, too. Over the 12-month period, Ubuntu Music released 12 exceptional albums from a broad cross-section of talented artists: male and female; young, old and deceased; beautifully diverse in terms of race, creed, ethnicity, colour and nationality. And the consistent DNA that runs through the blood of each of these wonderful people is the quality of their music and the strength of their character as dedicated musicians. As well as these exceptional releases, Ubuntu Talent booked a considerable number of shows for its artists, concentrating on premier London venues and key summer festivals, while attending nearly 100 live performances that year to support their artists and to discover new talent. And the Ubuntu brand became increasingly more attractive to recording artists, previewers, reviewers, podcasters, the media and, perhaps most importantly, the audiences who spend their hard-earned money to support these deserving artists. For the Ubuntu Family, 2018 was a year of expansion and prosperity for its amazingly talented roster of musicians. The year started with a bang and escalated to a crescendo of magnificent music. Here are some highlights from 2018, followed by a peek at 2019. As Leo Richardson’s debut album, The Chase, was taking the world by storm, the year started with the announcement of a new relationship, which quickly added considerable value to the business. From February 2018, The Orchard, the premier worldwide digital and physical music distributor, became Ubuntu Music’s partner. The Orchard is owned by Sony Music Entertainment, with its worldwide headquarters is in New York City. So, Ubuntu was off to the races, in a very big way. To listen to the track, please click on the image, above. The label’s first release of the year was a highly unique and dear to my heart. I’ve always been a Steely Dan fan and have greatly admired Reuben Fowler’s multi-talented skills. A while back, we discussed opportunities to work together. Reuben explained he had a recording project with 22 musicians, paying tribute to Steely Dan’s 40th anniversary of Aja, with a cover version of the iconic song, Black Cow. When asked what he was going to do with it, Reuben explained he just wanted to put it out there, allowing people to appreciate the music. He wasn’t interested in making money, particularly since no one was paid for the recording. It was truly a labour of love. Musicians who were on the recording included vocalist Hamish Stewart (ex-Average White Band), Gareth Lockrane, Graeme Blevins, Paul Booth, Leo Richardson, James Copus, Rob Luft, Jason Rebello, Ian Thomas and Sumudu Jayatilaka. And Reuben, as arranger, pulled it all together. On January 2nd, I got in touch with Reuben with an idea. Walter Becker, Steely Dan’s co-founder and writer, had just passed from oesophageal cancer. As a show of respect, I suggested that we release Black Cow as a digital single and donate the proceeds to the Oesophageal Research Unit of Cancer Research UK, in Walter’s name. The idea was hatched and embraced. Ubuntu’s publicist, Emma Perry, donated her time to the cause, along with the Label. Jazz FM got behind the single in a big way. The song was played, streamed and downloaded all over the world. And all proceeds go to an appropriate, worthy cause. One of the live highlights of the year for me was to book the first Ubuntu Showcase. And it was a very special one, hosted at Ronnie Scott’s. The bands were Andrew McCormack’s Graviton and Camilla George. And they delivered exceptional performances to a packed house. To listen to the album, please click on the image, above. 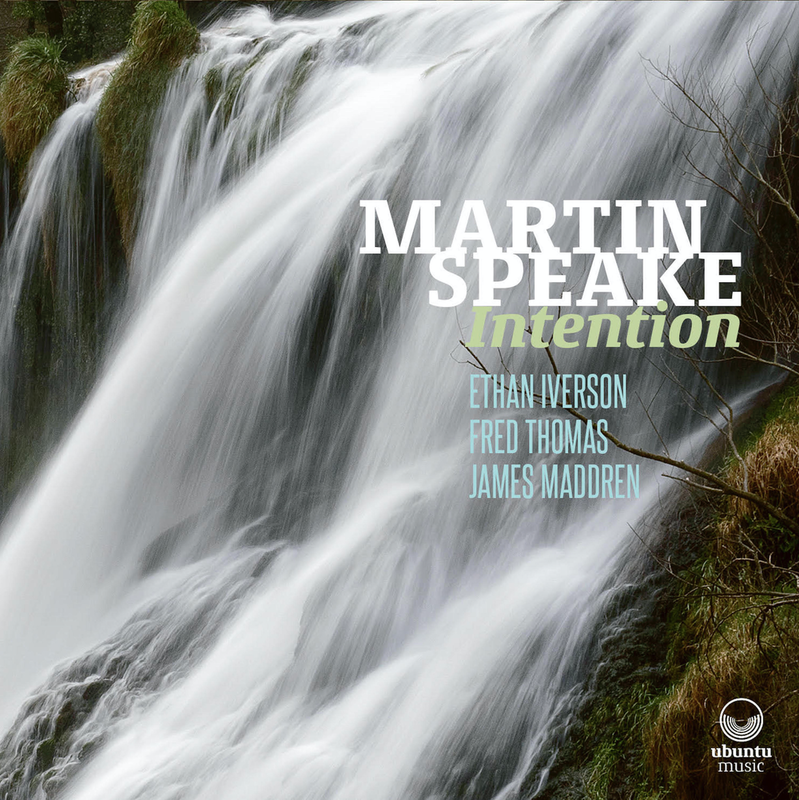 I’ve always admired Martin Speake’s sax talent, as far back as 2002 when he recorded a lovely album on ECM which featured Bobo Stenson and Paul Motion. I was introduced to Martin through Tom Harrison, a good friend and excellent alto player, who informed me that Martin was looking for the right label to release his next quartet recording, featuring the exceptional Ethan Iverson, with Fred Thomas and James Maddren. By the end of a 50 minute power lunch at The Barbican, Martin decided that Ubuntu was the label for him. Intention was released in April. Rave reviews, a UK tour and appreciative audiences. Ant Law, a seriously talented guitarist, approached me with an attractive opportunity…to release a highly sophisticated album that deconstructs classic tunes and drastically reworks these by employing contemporary classical compositional techniques. The Trio—a democracy consisting of Law, with Rich Harold and Rich Kass—are skilled musicians who are backed up by some big names: special guests Steve Lehman on sax and Dame Evelyn Glennie on percussion. A highly intricate and wonderfully challenging album, supported by an extensive UK tour, with live and recorded rave reviews to go with it. Polish/Ukrainian harpist Alina Bzhezhinska was introduced to me by a good friend, Jazz FM’s Chris Philips, as someone to watch. Alina and I embarked on exciting journey together, as she recorded her album with the exceptional Tony Kofi, Larry Bartley and Joel Prime, while we prepared for the release of Inspiration. And what a beautiful and successful release it was. Alina’s album was played extensively all over the world, and she happily gave insightful interviews to journalists everywhere as she embarked on an extensive tour. It couldn’t have happened to a nicer, more talented and harder working guy than trumpeter Mark Kavuma. With a deceptively laid-back persona, Mark knew what he wanted, and he took the world by storm with his debut album, Kavuma. Backed by the wonderful talent of Mussinghi Brian Edwards, Reuben Fox, Artie Zaitz, Reuben James, Conor Chaplin and Kyle Poole, this London/New York collective shook the jazz world with each and every note, while the album was bought, streamed and downloaded with a relentless intensity. Bebop Spoken Here gave the album Five Stars. An introduction through a mutual friend, composer/arranger/trumpeter Matt Roberts, led me to discover the breath-taking talent of pianist Pete Lee. Although much of Pete’s time is consumed by his touring the world with pop sensation Tom Walker, Pete managed to deliver a wonderful work of art while collaborating with the likes of Josh Arcoleo, Alex Munk, Huw Foster, Ali Tynne and The Amika Strings. The debut album seamlessly integrates the smooth with the rough…intertwining classical, contemporary and jazz elements to create a genuine work of art. And Pete’s album launch show had the audience spellbound. It was the combination of talent and demeanour that attracted me to guitarist Nick Costley-White. Nick is a gifted individual, who has embraced the classic American songbook and added some very special ingredients to the mix. And his debut album, Detour Ahead, is a testament to this. His line-up is equally gifted: Matt Robinson, Conor Chaplin and Dave Hamblett. Nick is on a journey, winning over audiences wherever he plays, be it his near 30 date tour or his sold-out album launch show. Given the tremendous success of Live in London Volume I along with ample quality material to release a second two CD set, the decision was taken to release the follow-up to the original. The same team from the first release—which included bassist Jim Richardson’s meticulous attention to detail, and the near genius engineering of Sunlightsquare’s Claudio Passavanti—ultimately gave birth to a sibling just as magical as the first. To launch the second Live in London release, once again Chet’s UK rhythm section was reunited, as well as bringing together special guests, to perform these songs to a +440 capacity crowd Jazz Café in London. And the album has been a smashing success. One track in particular, Polka Dots and Moonbeams, is expected to achieve five million plays on Spotify alone by the end of January, making the song one of the all-time favourites of Chet’s entire repertoire. This project is the result of a personal dream come true. I’ve been a long-time admirer of saxophonist Eric Alexander, and legendary pianist Harold Mabern is as good as it gets. Both reside in New York City, and are the best of friends. I always go out of my way to see them live. When they came to play in London back in 2017 I met up with Eric and, as I always do, challenged him concerning when we would ever do a project together. With a wry smile, he retorted, “Why not now?”, and so we did. Burnin’ in London is a full-on live quartet recording that takes no prisoners. What do you do for an encore, when your debut album is a runaway success? Do an even better one…and Camilla George did just that. 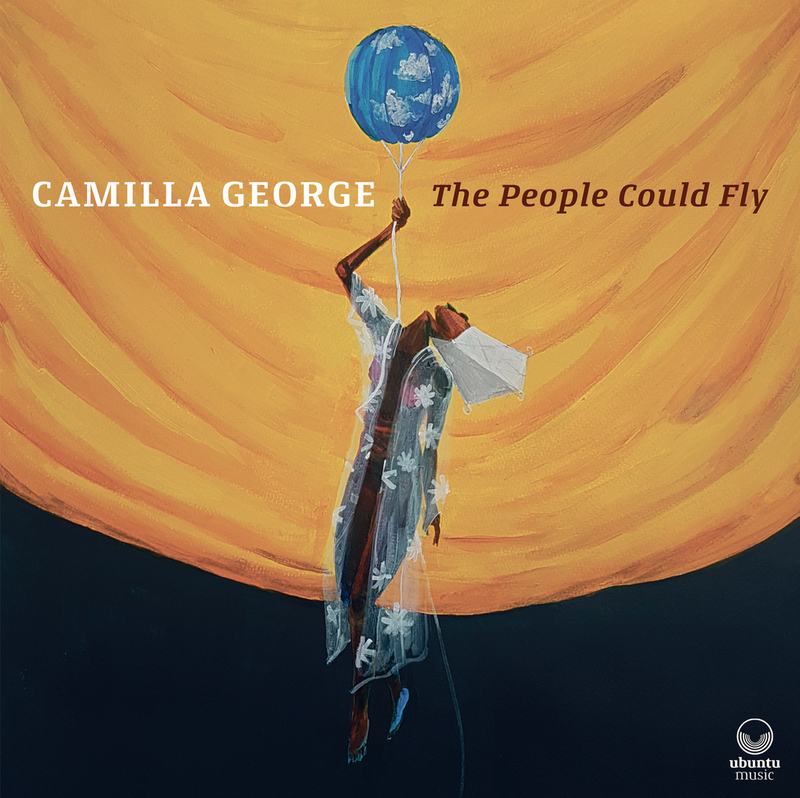 Camilla returned with The People Could Fly, a hypnotising blend of Afrofuturism, hip-hop and jazz. The album is named after a book of African folktales that portrays the lives and experiences of African slaves who created stories in which animals assumed the personalities of the slaves and slave owners. And the album includes Camilla’s regulars—Sarah Tandy, Daniel Casimir and Femi Koleoso—along with a glittering cast of special guests: Winston Clifford, Omar, Cherise Adams-Burnett, Shirley Tetteh and Quentin Collins. The Morning Star and The Evening Standard chose The People Could Fly as one of the Best Jazz Albums of 2018. And Jazz FM has playlisted tracks from the album for five months. Alex Munk is a man on a mission, as Captain of Flying Machines. 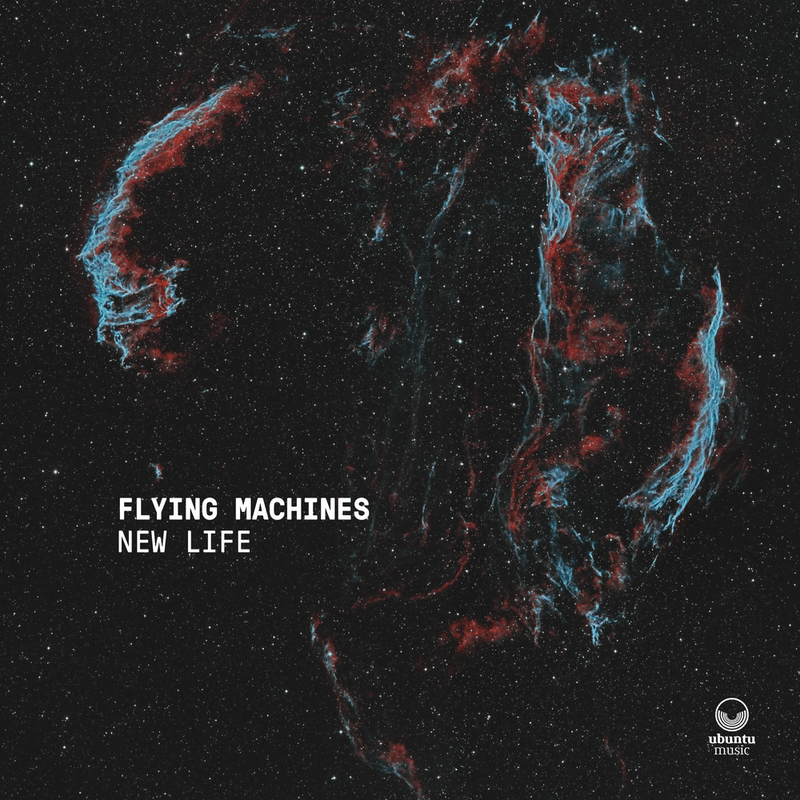 New Life, Alex’s sophomore release, features some of the most innovative young musicians to have emerged from London’s exploding jazz scene, with Alex on guitar & vocals, Matt Robinson on piano/synths/Fender Rhodes, Conor Chaplin on electric bass and Dave Hamblett on drums. The band’s trademark fusion of contemporary jazz with progressive rock has been lifted to further heights, from thundering, all out metal assaults, to ambient meditations and plaintive melodies. 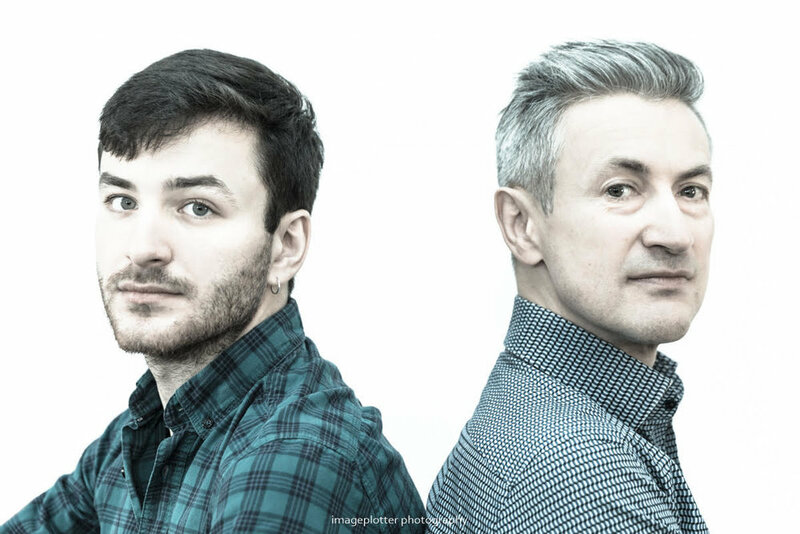 While Prog Magazine called the album, “inspired improvisation” and Jazzwise Magazine identified Alex and the band as one to watch in 2019. 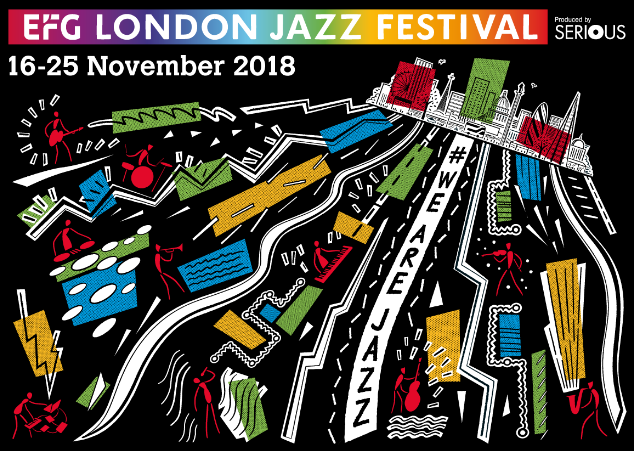 This year’s Festival was yet another triumph…for jazz, for the artists and for the audiences in a 10-day non-stop series of 350 events in 60 venues with music from all over the world. And Ubuntu Music’s artists were exceptionally well-represented, with 15 major shows featuring its lead artists and another 10 shows with musicians from those bands. Key highlights include Rory Ingham’s Jam Experiment, Ethan Iverson, Jessica Radcliffe, Alina Bzhezhinska, Martin Speake, Trio HLK + Evelyn Glennie, Quentin Collins, Leo Richardson, Dave O’Higgins, Mark Kavuma, Artie Zaitz, Fini Bearman, Will Cleasby, Gareth Lockrane, Flying Machines and Camilla George + Sarah Tandy. Vocalist and composer Jessica Radcliffe released her debut album, Remembrance, marking the end of the First World War centenary. Based on her in-depth study of the devastating event through music, poetry, reports, letters and other historical documents, Radcliffe’s original compositions and arrangements create a moving tribute. The album draws on a range of influences and styles from all aspects of Radcliffe’s musical journey as well as some of the most poignant literature from the conflict. Her first-class line-up features Tom Dennis on trumpet, Sam James on piano, Joe Downard on bass and Will Glaser on drums, with Mark Lockheart as special guest. The Evening Standard gave Remembrance Four Stars and said, “Radcliffe is a talent to watch”, while The Morning Star chose it as one of the Best Jazz Albums of 2018. Fresh from winning Young Scottish Jazz Musician of the Year in 2015 and the 2017 Peter Whittingham Jazz Award, emerging saxophonist Helena Kay released her debut album, Moon Palace, at the end of 2018. The title was inspired by a Paul Auster novel of the same name. It features a selection of Kay’s original compositions which evoke the various places and experiences that inspired them, from the leafy streets of Muswell Hill/North London (Strawberry Terrace) to the jazz Mecca that is Greenwich Village/Manhattan (Perry Street). The album also reflects Kay's love of the jazz tradition. Helena leads KIM Trio with David Ingamells on drums and Ferg Ireland on double bass. And Mike Hobart of The Financial Times gave Helena’s album launch show a Four Star rating. Yes, 2018 was an exceptional year, for the Ubuntu artists and the Label. For a preview, please click on the image, above. With a harmonic sophistication and improvisational approach of jazz, Wandering Monster release their eponymous debut album on Ubuntu Music in early 2019. Well established on the northern music scene, the band features Sam Quintana on double bass, Ben Powling on tenor saxophone, Calvin Travers on guitar, Tom Higham on drums and Aleks Podraza on piano and keyboards. Pianist/composer/arranger extraordinaire Laurence Hobgood was Kurt Elling’s music partner for nearly two decades. 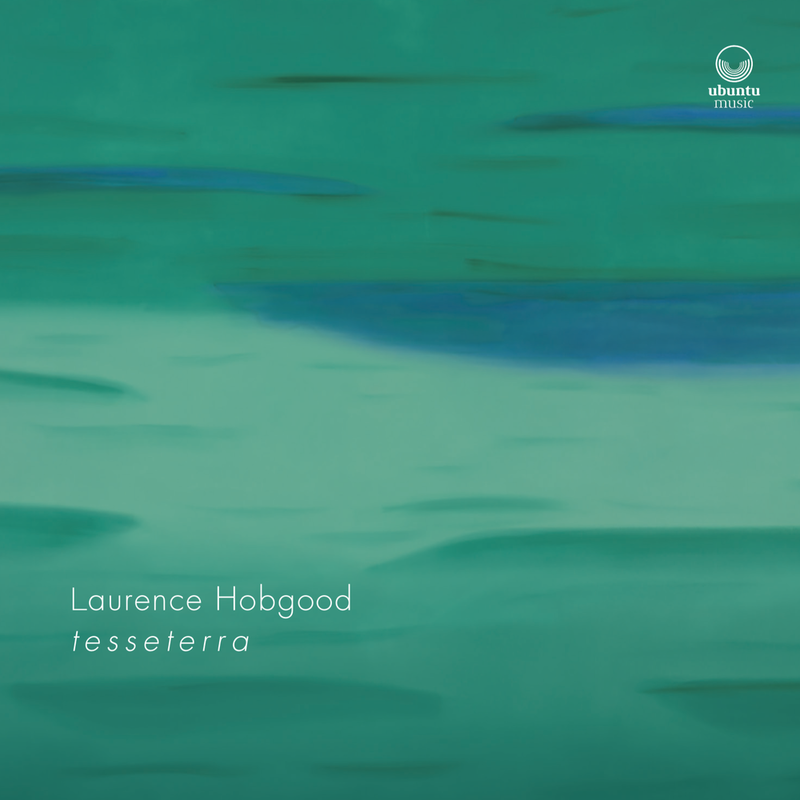 Now, as leader, t e s s e t e r r a is Laurence's new program of standards re-woven for jazz trio and string quartet — innovative arrangements of iconic selections by Cole Porter, Sting, Jimmy Webb, Hoagy Carmichael, Stevie Wonder and more. The album will be released in March. 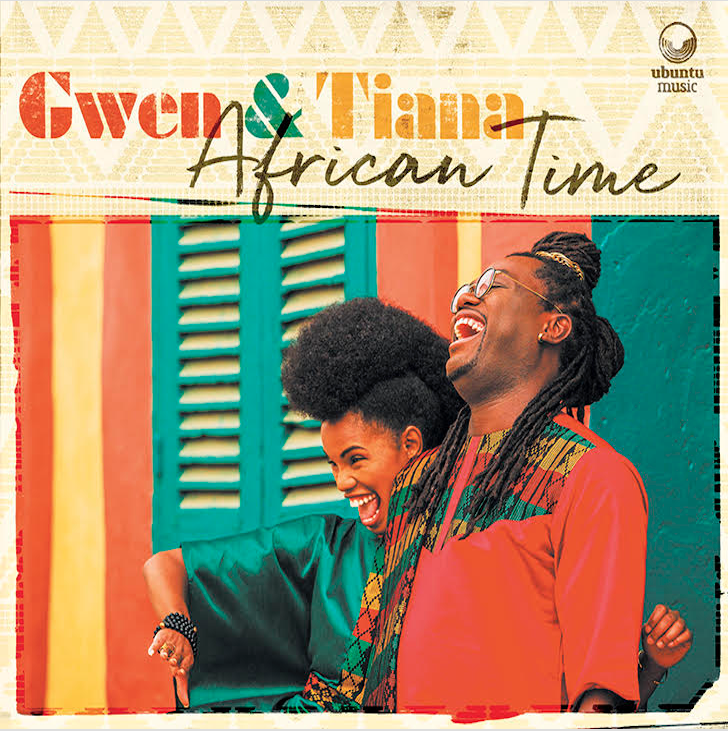 Gwen & Tiana is an Afro-jazz and soul duo. Their music is cadenced by the union of their remarkably powerful and soulful voices. A blend of numerous styles, their music is an alchemy of energetic African rhythmic and Afro-European jazz sounds. Special guests include producer Femi Temowo and trumpet ace Keyon Harrold. 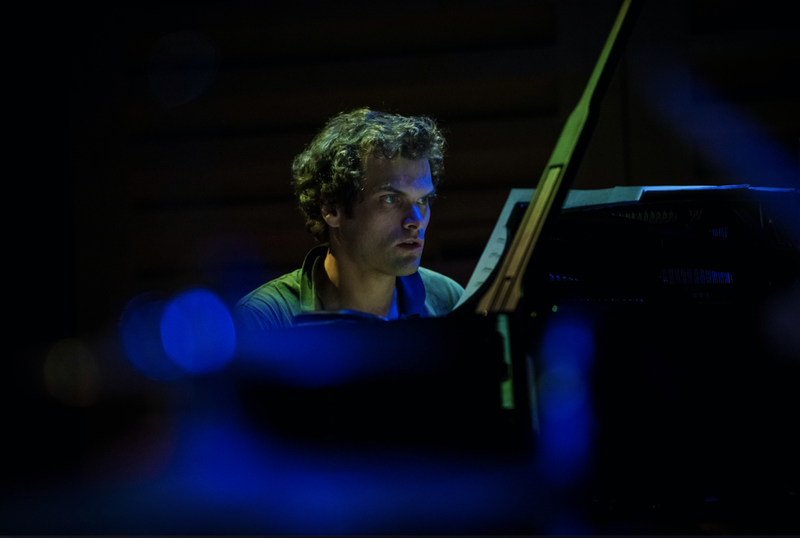 Tom Cawley is one of the UK’s leading jazz pianists. He has performed worldwide with some of the country’s leading artists, most notably Peter Gabriel. As a lead artist in his own right, Tom has performed, recorded and broadcast extensively over the last ten years. Catenaccio is an arresting and beautiful jazz-fusion blend, with an all-star line-up. Miguel Gorodi is a London based composer, teacher and trumpet player performing across a broad spectrum of jazz and improvised music. Miguel’s Nonet is an ensemble that explores various compositional techniques with specific focus on texture, non-tonal melodic structures, polyrhythms, and the relationships between them all. A deep, moving debut. I’ve had the privilege of working with Andrew for six years as his manager. Having negotiated several record deals with other labels on his behalf, Andrew ultimately decided he wanted to be on Ubuntu Music. I couldn’t be happier. This year, Andrew will release The Calling, the sequel to his highly acclaimed Graviton album. It includes an exciting cast of musicians, including stunning vocalist Noemi Nuti. You don’t often come across a concept for an album that’s as unique as this. Sax man Rob Cope has amassed a stellar quartet and recorded the first of a three-part trilogy, inspired by space. The debut is a tribute to the race to land the first man on the moon, bringing us with him in this breath-taking journey. 2017-2018 were fantastic years for this tenor sax man. A Five Star Review from The Guardian for his debut album (The Chase), a feature interview in USA’s Downbeat Magazine, an appearance at Love Supreme Jazz Festival and rave views wherever Leo’s Quartet played were amongst the highlights. And, for his encore, Leo’s sophomore album will be released later this year. Ubuntu Music’s initial founding partner is always in demand by others. Trumpet man Quentin Collins has finally carved out the time to record his own album, featuring a New York rhythm section and a to-die-for range of special guests. Along with composer/musician Tom Harrison, the music achieves everything you would expect from this exceptional artist. Left to right: Rob Luft, Dave O’Higgins. The dream team of veteran Dave O’Higgins on tenor sax and young guitar ace Rob Luft come together for the first time to record a series of tributes to Monk and Coltrane, backed by a first-class rhythm section. The release is scheduled for late this year and will be supported by an extensive tour. It doesn’t get any better than the combination of Eric Alexander and Seamus Blake duelling on tenor saxes, whilst challenged by the swing of pianist/Hammond organist Mike LeDonne, as they battle it out live in London. Expect fireworks when this one drops late this year. And Ubuntu Music will be releasing even more exceptional music in the year to come. Further signings will be announced shortly. This business doesn’t get any easier. It is exceedingly demanding, relentless and all-consuming. Particularly if you are committed to doing it right, with dignity, respect and professionalism, whilst always putting the artists first. Ubuntu Management Group and, within it, Ubuntu Music, started several years ago as an experiment, by devoting our attention to the music we love most. The experiment continues to work. This would never have been possible without some extraordinary people who were patient enough and supportive enough to give us a chance. There are many, but the few in particular we’d like to thank include Chris Philips from Jazz FM--along with Ruth Fisher, Tony Minvielle and Jonathan Arendt, publicist/marketer Emma Perry, Simon/Paul/Nick/Sarah/James from Ronnie Scott’s, Sunlightsquare’s Claudio Passavanti, John Fordham and Dave Gelly from The Guardian/Observer, Kevin Le Gendre, Ian Shaw, Mike Flynn/Jon Newey and crew at Jazzwise, Seb Scotney/Peter Bacon and crew at London Jazz News, the US Downbeat and JazzTimes Magazines USA crews, Ron Moss, Marc Myers at JazzWax/Wall Street Journal USA, Fred Gluzman, The Jazz Mann’s Ian Mann, Lance Liddle at Bebop Spoken Here, Sue Edwards, Matt Ruddick at Kind of Jazz, Jane Cornwell at The Evening Standard, UK Vibe’s Michael and Tim, Paul Pace and crew (Jackie and Matt) from The Spice of Life, Roger Farbey and Chris May at All About Jazz, Jazz Journal’s Mark Gilbert, Gary and Janine, Chris Hodgkins, Sandy Brown Jazz’s Ian Maunde, Ross/Joseph/Luc from Pizza Express, Peter Beckmann at TechnologyWorks, photographer Tim Dickeson, The Sunday Times’ Clive Davis, Tom Harrison, Mary James, Monika Jakubowska, Steve Funkyfeet, Carl Hyde, Steven Cropper, designer Darren Rumney, Peter Freeman & Alan Hayward, the team at Sound Performance and the guys at The Orchard—Scott, Tom and Will. And, of course, Simon ‘Goatious Foot’ Page, who never fails to surprise me. Most of all, to the exceptionally talented artists, who make us look much better than we are at what we do and who help keep us feeling younger each year. You are the heart and soul of this venture. We are eternally grateful for placing your faith in us. And lastly and most importantly, to my family for allowing me to live the dream. Love you, Leslie, Sabrina and Camila! Left to Right: Alex Munk, Helena Kay, Alina Bzhezhinska, Martin Hummel, Jessica Radcliffe, Nick Costley-White.